At LSE, we’re fortunate to have a fascinating collection of material from what is often referred to as the Charles Booth Survey of London. 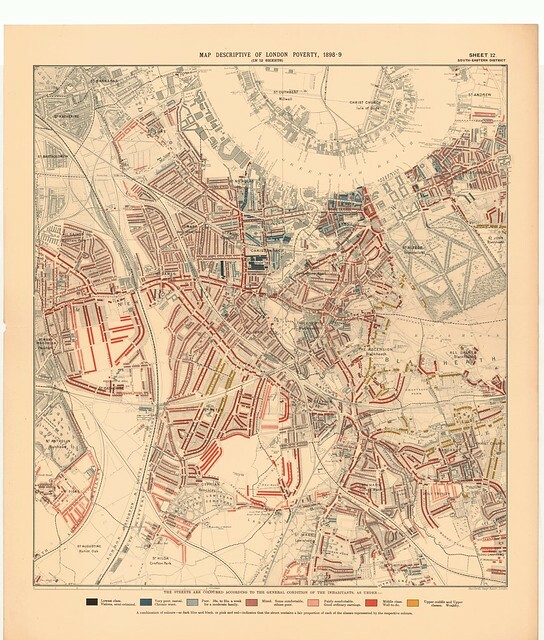 This survey and all the laboriously collected data which fed it, whilst overseen by Booth, was actually compiled with the help of a number of other individuals interested in the situation of the poor and working classes in London at the time. If you turn to the first contents page of Volume 1 of the published version of the survey, Life and Labour of the People, you will see the names of two women who were members of the survey team: Clara Collet and Beatrice Webb (then Potter). Beatrice, who later married Sidney Webb and helped to found the London School of Economics, was Booth’s wife’s cousin. 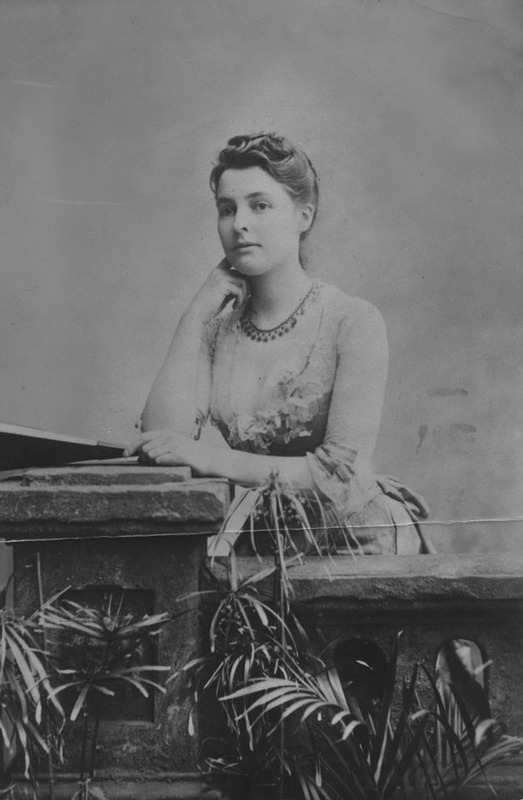 Booth knew of Beatrice’s interest in social issues and her involvement in charity work and found her keen to aide with his investigation when he approached her. Her diary entry for April 17 1886 places her at “Charles Booth’s first meeting of the ‘Board of Statistical research’ at his city office … Object of the committee to get a fair picture of the whole of London society – the 4,000,000!” While she contributed research for the analysis of dock workers and Jewish residents of London’s east end (which is the chapter in Volume 1), she also continued to produce her own publications and findings. Booth had also wanted the work undertaken by women in London to be documented and had approached Beatrice for help, however she was a relatively inexperienced researcher and had her work cut out with the Jewish survey. Instead, Clara Collet was the woman to whom Booth turned for help. Collet was an educational trailblazer from her earliest days having attended the North London Collegiate School for Girls, an influential and important school which treated girls’ education seriously and taught topics usually only reserved for boys. 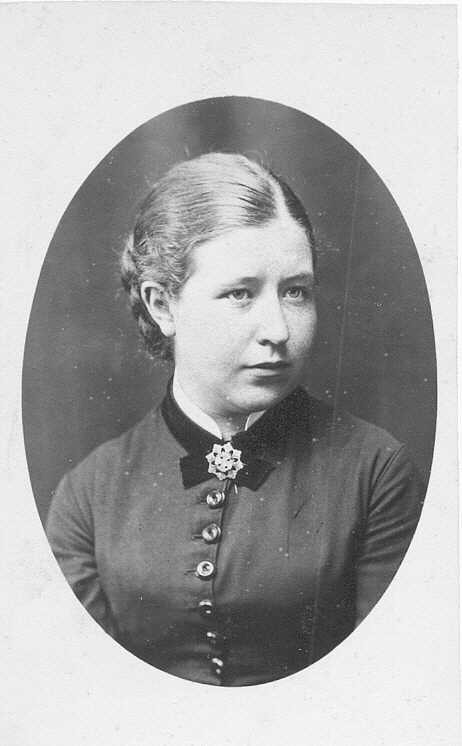 She later went on to study at University College, London and graduated in 1888 at a time when women were very much in the minority at such institutions. Soon after she graduated Collet began working on the women’s work survey and, as part of the role, she stayed in the East End of London for three months. Her work was published in the first and second volumes of 1889 for which she also contributed two publications about girls’ secondary education and tailoring work carried out by women in the West End. Both Clara and Beatrice would move into new areas of work and investigation in years to come, however the work and type of social enquiry which they undertook as part of the Booth survey would prove both useful and influential in later years.